Home / Archive by category "Education and the Arts"
Two weeks ago, I attended (and presented at) the VSA Intersections Arts and Special Education Conference. VSA Intersections is a Jean Kennedy Smith Arts and Disability Program and is part of the Kennedy Center in Washington D.C. I really valued the conference’s emphasis on all disabilities. As a special education teacher, I spend most of my time with students who have disabilities that affect their cognitive skills. 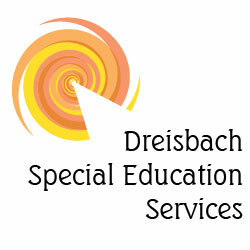 I don’t usually teach students who have physical disabilities that do not require academic interventions. Yet those other disabilities affect students’ daily lives as much as – sometimes more than – the issues of my kids who need extra help in math. Sometimes, other students’ conditions actually keep them out of typical public schools altogether. The artists and educators at the conference teach an incredibly wide swath of students. Some may teach kids who have autism at one school, then work with private students or small weekend groups with kids who are legally blind, in addition to their typically-developing students. Others may focus exclusively on one particular disability. Still others may have physical challenges themselves. Teachers and students from the DeKalb School of the Arts shared how students with physical and emotional difficulties are supported in the school’s arts-intensive curriculum. In a keynote presentation, the students shared their stories, then performed music and theater for the attendees. I was struck by the focus of the students, both when speaking and when creating the art that they loved. Many of us want this kind of immersive learning for all our students, whether they are acing all their AP classes or are running out of reasons to stay in school, whether they play varsity sports or have never walked on their own. The VSA conference helped teachers to nurture talent in all forms of exceptionalities. Like artists through the ages, we learned to combine energy and enthusiasm with discipline and fortitude in our students. And who knows what our students – with all of their unique challenges – will contribute to the world in return? The arts have long been part of school curricula. In the 1950’s, my grandmother taught music at Hiram High School, a school in a small Ohio college town. Not only did she teach kids to sing in parts, she introduced them to arias and recitatives so that they could perform full-length operettas. I still hear from her pupils about their productions of The Mikado and H.M.S. Pinafore. She was just joining the town tradition: in the 1930’s, my other grandmother had performed the lead in Trial by Jury at the same tiny high school. The arts matter to so many students, whether they have leading roles or are in the chorus, whether they sketch everything they see or perfect one face over and over. As we all know, students’ access to arts education varies from year to year, school to school. Arts proponents are endlessly having to prove that the arts have educational value. Amid the pro- and anti- arts noise, a cadre of special schools has appeared, quietly and shamelessly giving kids more access to the arts. Since the 1930’s, elementary and secondary schools have been founded specifically to increase arts time. I believe that the Laguardia school, mentioned below, was the first one, founded in 1936. Arts schools give students a chance to learn with like-minded peers. Artistic technique is built in tandem with academic skills. (And yes, those musicians tend to be pretty good at math.) In general, students and faculty alike feel a sense of camaraderie and uniqueness in their youthful artistic communities. However, uniqueness can breed isolation. As a student at Interlochen Arts Academy in northern Michigan in the 1980’s, my classmates and I knew of three other arts schools around the country – that was it. As passionate as we were about Interlochen, we felt like we were mostly going it alone. Of course we loved the movie Fame, about the Laguardia High School of Music & Art and Performing Arts in NYC. (I will admit that Fame is the name of my car. It’s a 1999 Civic and it’s “gonna live forever.”) Even now, professional artists might know of one or two arts schools, but the perception is that such institutions are rarities. In 1981, a group of arts schools began what would become the Arts School Network to bring these communities together. They represented twelve schools. Now there are over 150 such schools across the country. Every type is represented, including private day and boarding schools, and regular, charter, and magnet public schools. Most of the schools provide a full academic program in addition to arts curricula. Often, students “major” in an area like music, dance, theater, or visual arts. Other disciplines like creative writing or film studies are sometimes included as well. The Wikipedia page of performing arts schools lists some of these schools. For even more schools, sorted by state and country, go to the Arts School Network’s page of member arts schools. (Note: Some of the schools on this list are post-secondary arts programs.) This list is pretty staggering. There are a LOT of arts schools out there. The list is sorted by state. Look at how many arts schools are in Florida! To give you a little tour around the country, I have listed a sampling of arts schools below. I have chosen to list public day schools, but there are also fine boarding and private arts schools. Denver School for the Arts is a magnet school, part of the Denver Public Schools. Founded in 1991, it educates kids in grades 6-12. Students can focus on creative writing, dance, music, stagecraft and design, theatre, video cinema arts, and visual arts. The Conservatory Lab Charter School is part of the Boston Public Schools. Founded in 1999, it educates kids in grades K-8. Music is its only arts focus. Much of the music program is based on El Systema, a Venezuelan orchestral program which aims to empower kids living in poverty. Pioneer Valley Performing Arts Charter Public School serves students from over 60 towns in western Massachusetts. It educates kids in grades 7-12. Students’ options are dance, theatre, music and visual art. New Orleans Center for Creative Arts, founded in 1973, is a regional school that draws students from across Louisiana. It educates kids in grades 6-12. Students in middle school can focus on classical instrumental music or dance; students in high school can focus on creative writing, culinary arts, dance, media arts, classical instrumental and vocal studies, jazz, drama, musical theatre, theatre design, and visual arts. Some students attend for half days or after school, others enroll in the school’s academic program. Booker T. Washington High School for the Performing and Visual Arts is a magnet school within the Dallas Independent School District. Its building was built in 1922 as the first high school for African American students in Dallas. In 1976, it became an arts school. It educates students in grades 9-12. Students focus on dance, music, visual arts, or theater. Toledo School for the Arts is a charter school open to all Ohio residents. It is sponsored by Bowling Green State University. It started in 1999 and educates students in grades 6-12. Students study visual art, theatre, dance, and music. Orange County School of the Arts is a charter school in the Santa Ana Unified School District, California, for students grade 7-12. It was founded in 1987. Students study theatre, music, fine & media arts, dance, and applied arts. When you visit the schools’ websites, you may notice many regional and national awards. Arts schools stand out, not only for their artistic training but for the quality of their management and overall quality of their staff. Having met many faculty members from arts schools around the country, I am struck by their happiness. They love their schools. Check out the arts schools in your own state. Go to some concerts and shows. Maybe you’ll see tomorrow’s stars. Or maybe you’ll see passionate kids who will grow into really interesting and hard-working adults – and who someday will have great stories for their grandchildren.